The market for labor is currently in a state of hyper-competition. Companies everywhere are looking to expand, to increase presence in their respective spaces, and to hire top quality employees for new positions. From an HR perspective, this presents not only the opportunity, but a demand to create an environment conducive to happy, positive employees who have the desire to contribute their talents and hard work at 100 percent capacity. Managers and HR professionals will be seeking ways to improve employee retention and productivity in 2015. It’s important to take advantage of retention and productivity strategies so that you can hire talented, inspired workers and keep them at your organization for years to come. Gallup found 70 percent of employees are disengaged on the job. It’s advantageous to explore the etiology of this disconnect so you can make any needed changes in your company culture and practices. 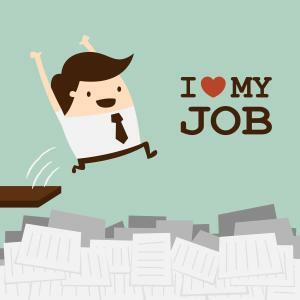 Once you’ve crunched the numbers and analyzed the data, you’ll discover that the key to enjoying happy employees is to simply treat them better. Here are some ideas for creating a happy, positive, and enthusiastic workforce that will remain dedicated to your organization for the long haul. 1) It’s all about the green. Nobody goes to work for the heck of it; we’re all in it for the money. And the more you pay, the more satisfied your people will be. Incorporate bonuses and raises into your annual budgeting and reward your employees on a regular basis. Consider offering them stock options, if available, as an incentive. 2) Examine the office environment. Take into consideration the opinions of your employees. Perhaps take a vote to determine how people prefer cubicles to be laid out, what snacks people like in the break room, and what activities people like to engage in when they take breaks. Consider a break room with drinks, games, and a TV so people can unwind intermittently throughout the day. 3) Focus on recognition. People crave positive feedback and appreciation for the work they do, particularly from their leaders. Recognition is a key tool in employee retention programs because positive affirmation is a basic human need. Yes, people are motivated by money, but they also desire recognition to be truly satisfied with their work. 4) Create a long term plan. People like to know where their careers are headed in the long run. Provide them with opportunities to build on their skills, such as workshops, industry conferences, and classes to learn new software. Implement one-on-one meetings with employees every six months or so to discuss the progress and future of their roles with the company. 5) Make budget improvements. Paying your staff more isn’t the only way you can invest in them. Modifying your budget in other ways can have a positive impact on your workforce. For example, spending more on travel and training opportunities, holiday bonuses, and ancillary benefits that show your appreciation for their hard work. 6) Listen to feedback. If you have top notch employees, they likely have outstanding ideas to streamline processes, implement new systems, and ultimately grow your business. Good employees want to share their ideas and feel they have been listened to. According to a survey by Fierce Inc., less than one third of employees felt that speaking up about an issue would make a difference at their place of employment. When your team doesn’t feel heard, they’ll stop trying to communicate. Encourage the expression of ideas and thoughts on a daily basis. There are many opportunities for top notch employees in the workplace today, so it’s important to stay competitive to recruit and retain the most talented and qualified individuals that will complement your business and help it grow. What ideas do you have to create a positive and satisfying workplace for employees? Share your thoughts with us!